Self-taught learning aims at obtaining compact and latent representations from data them-selves without previously manual labeling, which would be time-consuming and laborious. This study proposes a novel self-taught learning for more accurately reconstructing the raw data based on the sparse autoencoder. It is well known that autoencoder is able to learn latent features via setting the target values to be equal to the input data, and can be stacked for pursuing high-level feature learning. Motivated by the natural sparsity of data representation, sparsity has been imposed on the hidden layer responses of autoencoder for more effective feature learning. Although the conventional autoencoder-based feature learning aims at obtaining the latent representation via minimizing the approximation error of the input data, it is unavoidable to produce reconstruction residual error of the input data and thus some tiny structures are unable to be represented, which may be essential information for fine-grained image task such as medical image analysis. Even with the multiple-layer stacking for high-level feature pursuing in autoencoder-based learning strategy, the lost tiny structure in the former layers can not be recovered evermore. Therefore, this study proposes a residual sparse autoencoder for learning the latent feature representation of more tiny structures in the raw input data. With the unavoidably generated reconstruction residual error, we exploit another sparse autoencoder to pursuing the latent feature of the residual tiny structures and this self-taught learning process can continue until the representation residual error is enough small. 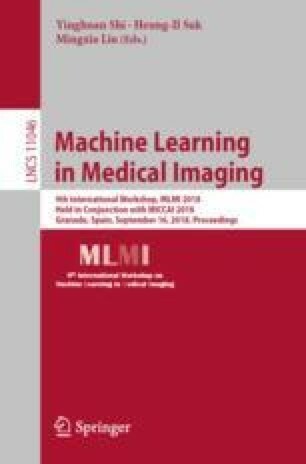 We evaluate the proposed residual sparse autoencoding for self-taught learning the latent representations of HEp-2 cell image, and prove that promising performance for staining pattern recognition can be achieved compared with the conventional sparse autoencoder and the-state-of-the-art methods.